Whisk together eggs, milk, salt and cinnamon. Slice the bread thickly, then dip into the custard mixture and allow to soak slightly. Melt butter in a large pan, then add the soaked bread and cook on a medium heat until golden on one side. Turn over the bread and allow to brown gently on the other side. 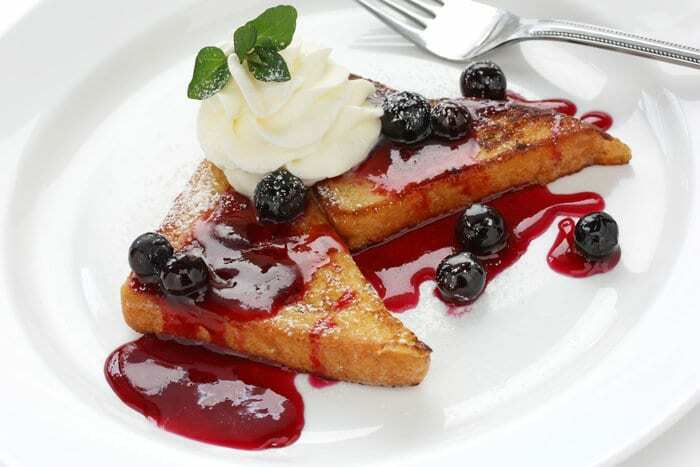 In a pot, combine the frozen blueberries and honey, then heat gently until the blueberries begin to burst. 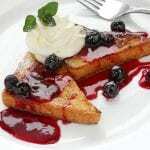 Serve the French toast on a wooden board, topped with the warm compote and a dollop of mascarpone.